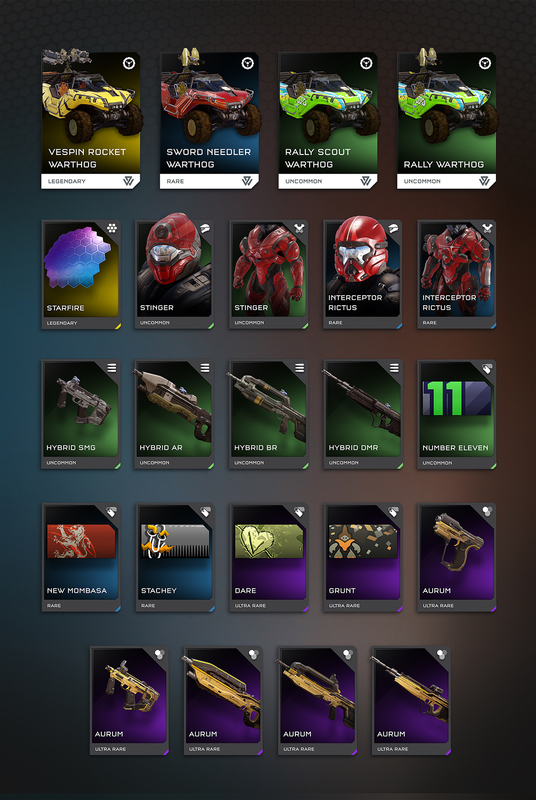 The all new Hog Wild REQ Drop has rolled into Halo 5: Guardians! 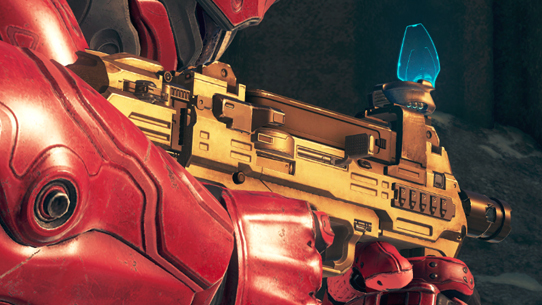 This latest free content salvo delivers four awesome new Warthogs, new armor, emblems, attachments, and more to your Halo 5 experience. 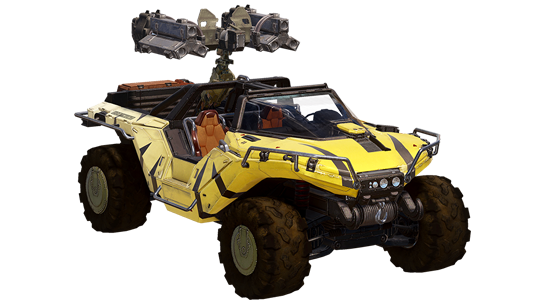 Take your new rides to the Warzone to give determined drivers everywhere new ways to win! The Sword Needler Warthog, which has energy shields and a needle-firing chaingun, is a rugged ride wrapped in Covenant technology. 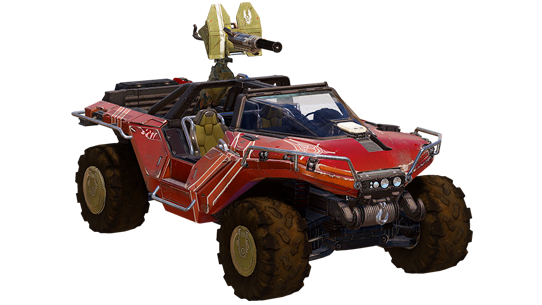 Both Rally Warthog variants have greatly increased speed and armor, which make them perfect for attacks on the enemy’s base. 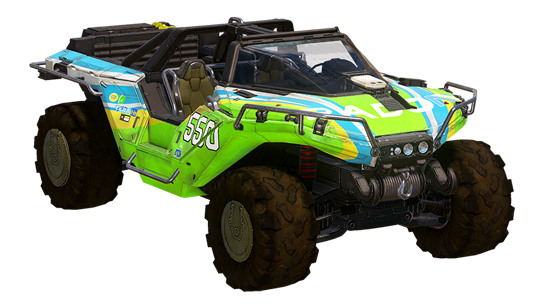 Lastly, Halo 5’s most action-packed Warthog, the Vespin Rocket Warthog, fires and reloads high-acceleration rockets faster than anything on the battlefield. Outfit yourself in the new STINGER armor set and utilize the new Hybrid Sight attachments to take on the competition with deadly precision. 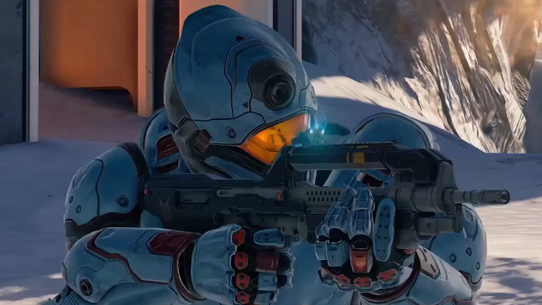 Experiments with Subanese crystal explosives and Sangheili regenerative shield technology are being pioneered by UNSC forces working with the Arbiter’s Swords of Sanghelios. These teams, operating in concert with allied Sangheili forces, have also been utilizing locally-sourced surface treatments and parts for their fleet of vehicles. The novel innovations introduced as a result of this cooperation have now been put to the test in War Games simulations on the UNSC Infinity and at High Command. An advanced Warthog with heavy armor and greatly increased speed, the #550 Scuderia StarSpeed M-12R, operated by AMG’s most experienced factory team, is an exemplar of heavily modified Rally Warthogs homologated for racing series across multiple systems. Extreme racing on New Carthage combines deadly wildlife, rugged terrain, heavy weapons, and insane driving skill. With class victories in both the New Carthage Sprint Series and 24 Hours of Quezon, AMG's competition division routinely dominates the high-stakes world of interstellar motorsports. Fitted with the latest hydrogen-burning turbines and ceramic applique armor, the Rally Warthog can handle environmental hazards that would leave even mil-spec vehicles as broken wrecks. UNSC expeditionary forces allied with the Arbiter conduct joint patrols to monitor and defend the Sanghelios badlands from Covenant remnants and Created scouts. Named after a particularly deadly pseudo-arachnid that often lairs in the ancient temple complexes used as staging areas, the Vespin Warthog can deal a deadly defensive sting against any local predator, living or construct. The Vespin M-12 is an improved Warthog with high-acceleration rockets and faster reload time. Armor: STINGER is the lightest contemporary GEN2 variant, and would save even more mass if Mjolnir standards for power pack endurance and armor protection levels were relaxed. Helmet: Developed in conjunction with the AV-49 Attack VTOL, the STINGER-class Mjolnir helmet has two neural interface controllers that allows the Spartan operator to switch from flight to ground combat modes at the speed of thought. The Covenant have been using smart-link aiming systems for millennia, refining the technology and interlink protocols to near perfection. Though Sangheili display a predilection to iterating on existing designs, some artisans have become fascinated with the possibilities of combining technology refined over centuries in the Covenant with human industrial methods and robotic assembly lines. Among these efforts is a novel reimplementation of the millennia-old Covenant holoscope design pattern used in the Carbine, but applied to standard UNSC loadout weapons.